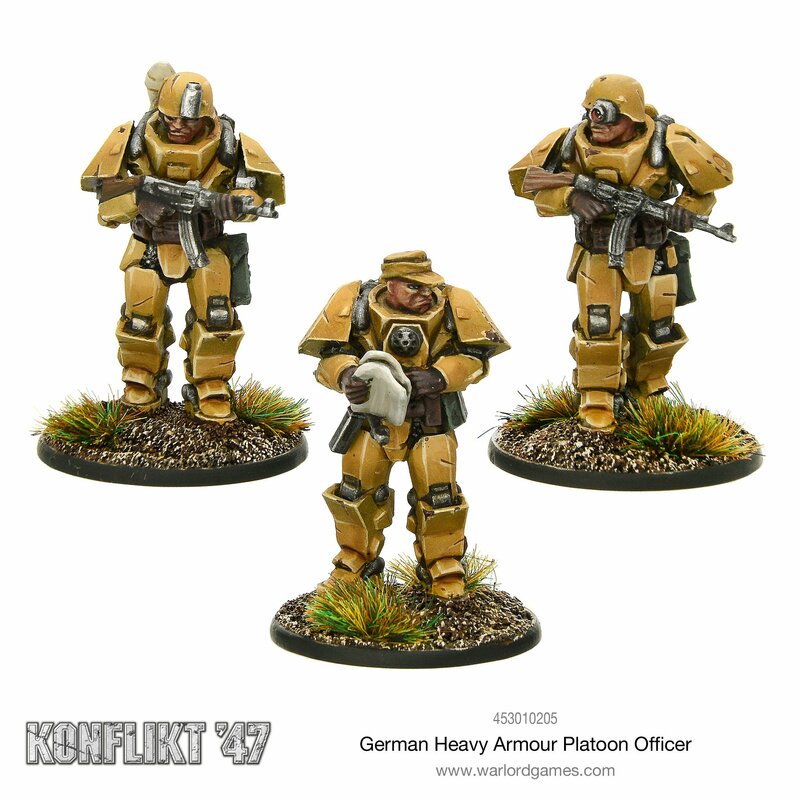 Warlord Games haben neue Sets für Konflikt ’47 in ihrem Shop. 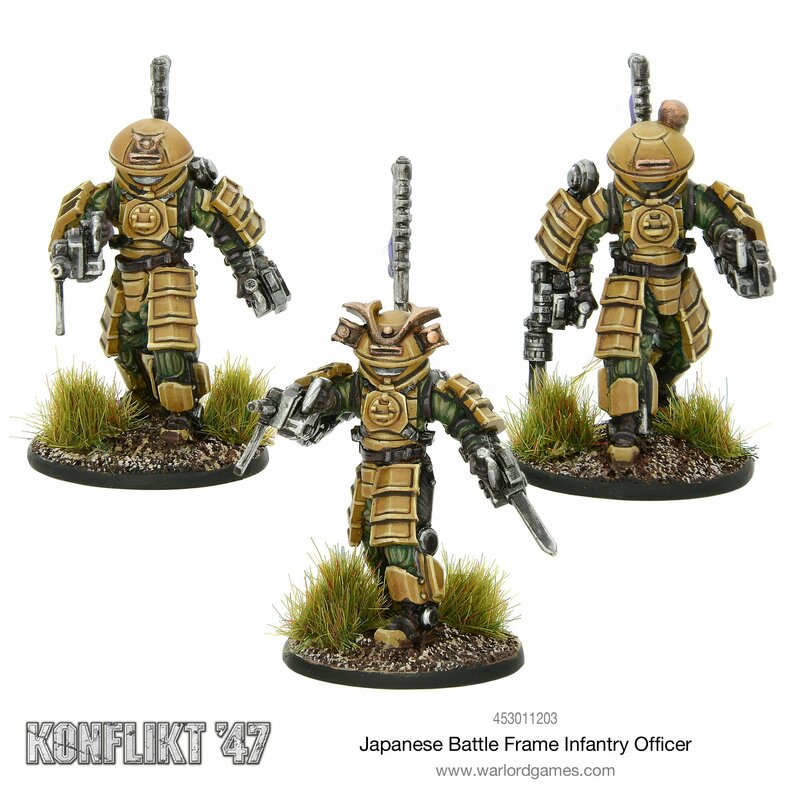 As the Imperial Japanese Army increases the production and deployment of its armoured exoskeleton suits, it is trialling the use of complete units of battle-frames capable of extended operations. 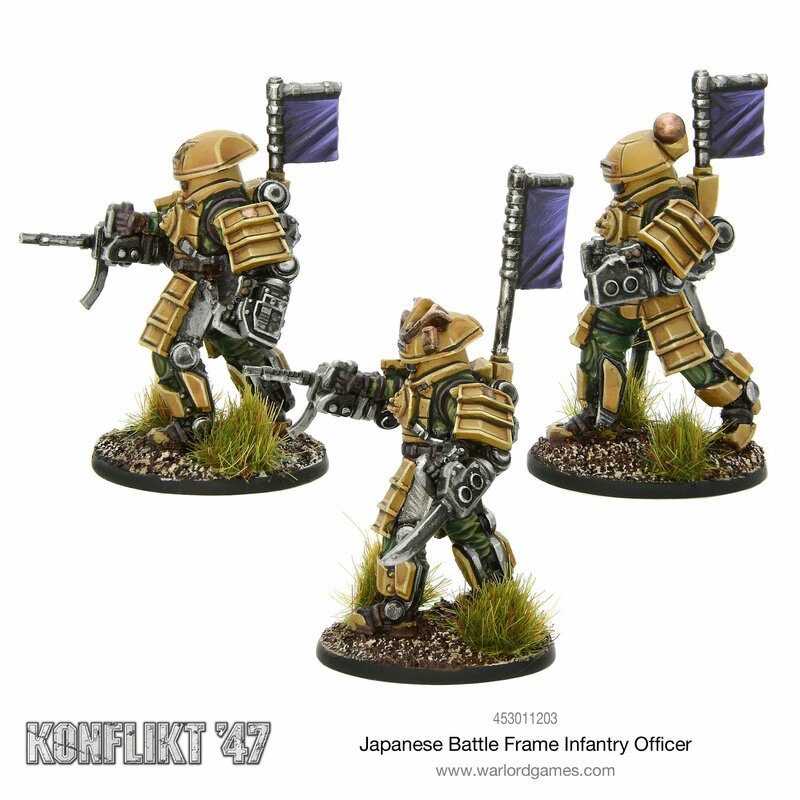 Whether these are used as assault troops to overwhelm a defensive position, or used to flank fixed or slower enemy formations, the options presented by the exoskeletons are varied. 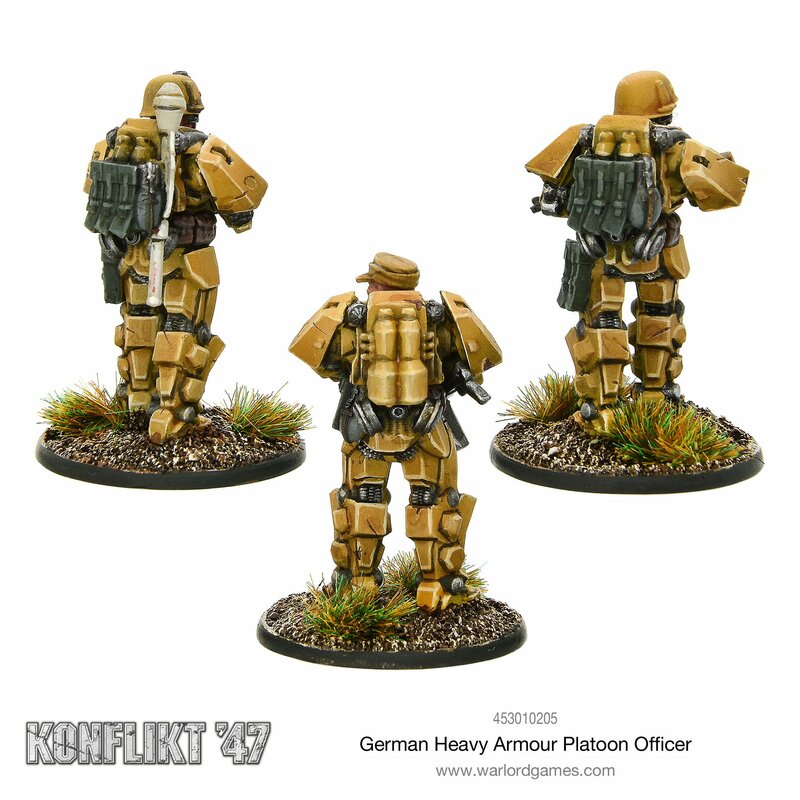 In order to maximise these abilities, veteran officers have been trained in the use of the suits to better lead these exoskeleton platoons and companies. Each officer has a proven record and is utterly respected by his men. 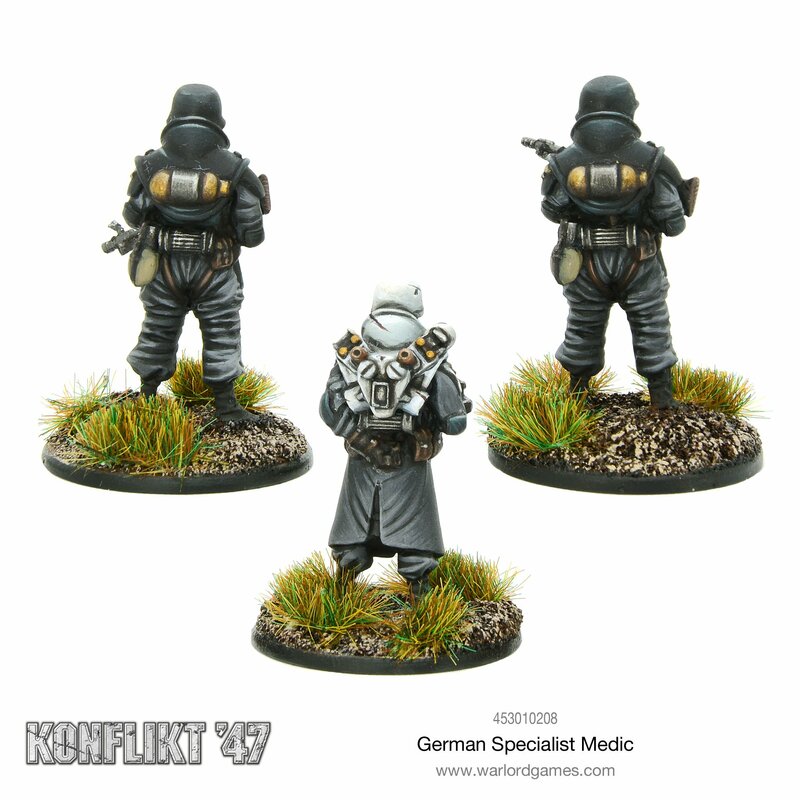 The specialist medic is generally only found within elite formations of the German military, a rarity on the battlefield. This medic uses experimental Rift-tech in the treatment of wounds and injuries. Whilst effective, not every soldier appreciates the occasional, long-term side effects! 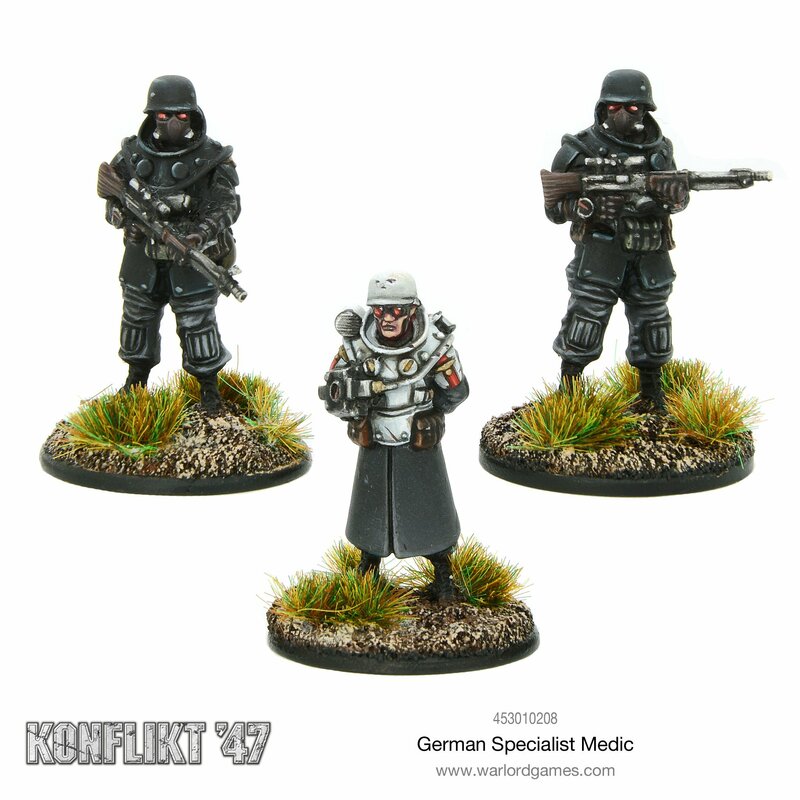 The specialist medic may be accompanied by bodyguards to both protect him and assist in his duties. Das Medic Set ist stark!